Join BFOC on Sunday, October 11, at 3PM for our 2015 Cyclesomatic Stevie Ray Vaughan Memorial Ride. 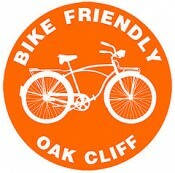 This Oak Cliff history ride will depart from the Wild Detectives at 3PM and will make stops at Stevie Ray’s childhood home in Kiest Park, hangout spots as a teen, and his final resting place at Laurel Land Memorial Park. DISCLAIMER: This will be a long ride (roughly 18 miles). If you can’t make the ride, you can always meet us afterward at the Texas Theatre! To learn more about the ride and documentary screening, visit the following pages. I would like very much to go along on this ride. I do not have a face book. how else could I join? jose – no need to have access to facebook to rsvp / join. the ride will depart from the wild detectives at 3PM on Sunday, Oct. 11. The film will start at the Tx. theatre at 7 pm.